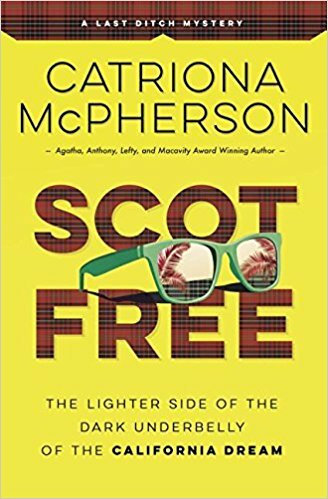 Cozy mystery Scot Free is my #FrugalFriday short review this week! Marriage counselor Lexy Campbell moves to California to marry and quickly divorce. The husband of her client, Visalia, is murdered by fireworks. Visalia is arrested. Lexy decides to solve the crime since she co-signed Visalia’s bail bond. Born and living in California all my life, I hoped this series would be a Elmore Leonard/Tim Dorsey-type book about California. Unfortunately, it is neither zany nor California-specific enough. However, the characters, mystery and ending were good so 3 ½ stars. Thanks to the publisher, Midnight Ink, and NetGalley for an advanced copy.